Amy S. Pacini is a freelance writer residing in Land O Lakes, Florida. She is a 1994 graduate of Houghton College, who earned her B.S. in Business Administration. She is a member of the Brandon Poet's and Artist's Guild, former member of the Grand Island Business and Professional Women's Club, the International Women's Writing Guild, and The Write Time. 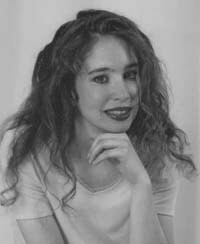 Her work has been published in The Trinity Tidings, Captains of Consciousness Journal, Moondance Online, National Association of Women's Writing Guide, Creative Writing Online, The Buffalo Evening News, and The Brandon Times. Amy writes poetry, short stories, personal essays, articles and motivational quotes. She presently owns and operates A.S.P. INK and its site, www.amyspacini.com.